Facial skin cancer is mainly of three different types. Squamous cell carcinoma, basal cell carcinoma and sebaceous gland carcinoma are the skin cancers which affect skin most commonly. The treatment for skin cancer relies on the removal of the cancerous skin tissue to ensure that no cancerous cells remain to grow further and metastasize into other parts of the body. In the case of superficial, highly localised cancers, the cancerous tissue can be excised or scraped away using techniques such as electrodessication and curettage. However, if the cancer has spread into the deeper layers of the skin, the excision of a large amount of skin may be required. In case the volume of the wound is large, but the wound is not very deep, it is possible to cover the surgical wound with a skin graft. Skin grafting is a commonly used technique employed by plastic surgeons to cover large wound areas with fresh skin. In skin grafting, a skin graft is isolated from a healthy part of the donor’s body such as the thigh, or trunk. This skin graft is then made more elastic by meshing the skin with small cuts, so that a small size of skin graft can spread over a larger area of the wound. These skin grafts are then allowed to graft onto the open wound and get nourished by the blood supply from the underlying blood vessels in the surgical site. Grafting of skin grafts is not only used for treatment of skin cancer surgery wounds but also for other wounds such as chronic leg ulcers, burn wounds and other large lesions. However, grafting of skin grafts is only successful in case the underlying dermis, endodermis and blood vessels are still viable. If a skin graft is placed on a poorly vascular bed, there is a possibility that the skin graft does not receive necessary nourishment from the underlying tissue leading to the graft failing to ‘take’. In such cases, skin grafting is not successful. Excision of a large volume of skin may result in a large sized wound which cannot be sutured easily, giving rise to the possibility of wound contracture, reduced functionality and poor cosmesis. In case the wound is very deep and has resulted in removal of full thickness skin, a skin graft is not sufficient to replace the skin .In such cases, flaps post skin cancer removal are common. Flaps, post skin cancer removal, are essentially a way to cover the excised surgical site with living skin and tissue, thereby improving cosmetic appearance, achieving wound closure and preventing infection. Flaps post skin cancer removal, are sections of healthy skin and tissue that are sourced from various sites in the body and used to cover the surgical wound. Skin flaps are often associated with their own blood and nerve supply. In addition to skin, flaps post skin cancer removal also contain muscle and fatty tissue which enhance the uptake and survival of the flap in the site of the wound. Flaps post skin cancer removal can be derived from various parts of the body such as forehead, cheek, arm, abdomen and thigh. Flaps post skin cancer removal may also be needed in larger sizes than can be sourced from other parts of the body without causing additional injury. In this case, tissue expansion surgery can be utilised to make a large skin flap. In tissue expansion surgery, the existing skin is stretched beyond the physiological amount which leads to skin expansion. This is done by the means of inserting an inflatable balloon under the skin, which keeps expanding periodically to produce a larger layer of skin on the surface. Tissue expansion surgery is then followed by skin harvesting which yields physiological skin than can be used in a surgical site. Tissue expansion surgery has been used in breast enhancement surgery for a long time. Another application of tissue expansion surgery has also been foreskin restoration in the case of circumcised men. Tenzel rotational flaps are skin flaps that are isolated from the lower eyelid for correction of eyelid defects less than 60% in size. Tenzel flaps are often used in the case of eyelid reconstruction. Surgical excision in the case of sebaceous gland carcinoma in the eyelid can require reconstruction using tenzel flaps. In the isolation of a tenzel flap, a semicircular flap can be taken from the lateral canthal areas which can then be pulled over the defect in the eyelid to repair the incision. Tenzel skin flaps are delicate flaps isolated from very close to the eye. Tenzel flaps must be isolated only by a skilled oculoplastic surgeon who has extensive experience working with tenzel flaps. Other skin flap techniques include the use of the forehead flap for the reconstruction of nasal defects. Forehead flaps are the gold standard in the treatment of nasal defects. In the case of extensive nasal reconstruction during trauma or cancer surgery, forehead skin along with blood supply can be fashioned into the forehead flap which can be used to reconstruct the skin on the nose. Forehead flaps have been recorded in use for many centuries and remain the most common type of skin flap for nasal surgery. Other flaps that have been used in the reconstruction of nasal defects is the glabellar flap.The glabellar flap is best used for the reconstruction of the medial canthal region which lies between the forehead and the bridge of the nose. The glabellar flap is isolated from the inner corner of the eye, and then pulled over the nasal defect in the application of the glabellar flap.The glabellar flap shows the best success when used for small, defects in a shallow placed medial canthus. In summary, several options of skin surgery using grafts, flaps (glabellar, tenzel and other full thickness skin flaps) can be used post skin cancer surgery to enable wound healing and enhance cosmesis. Plastic surgeons and cosmetic surgeons regularly use skin grafts and flaps in post-skin cancer surgical reconstruction. Dr. Debraj Shome is an internationally renowned cosmetic surgeon who has been felicitated as ‘The Most Promising Face in Facial Plastic Surgery in India’ in 2015. 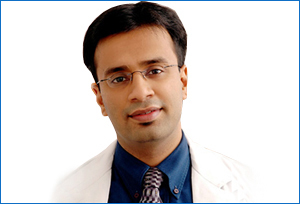 He is a consultant at some of India’s most famous hospitals and has set up a set of specialised medical centres known as The Esthetic Clinics all over Mumbai.